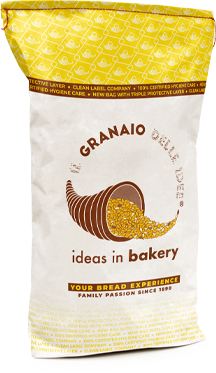 With Nucleo® Soft you can get an exquisite bread with an intense flavor, which smells like milk. This bakery mix contains butter and sunflower oil. Infinitely soft and delicate, the bread produced with Soft is perfect for breakfast or as a snack: children and adults will not be able to resist. Also ideal for salty croissants. Available il palm oli free version.